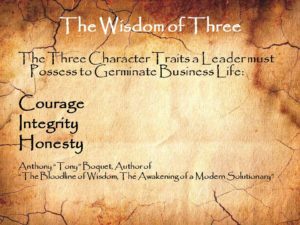 The great Greek philosophers solved the mysteries of thought centuries ago by writing the Three Laws of Thought. They determined and explained these undeniable truths so that future civilizations would not have to struggle to communicate with one another. The thoughts are universal and apply to every rational human on earth. Being laws of nature, they cannot be changed or edited by mankind. No matter how bad some people wish to do so, they have no power over the truth. There are many laws of nature; laws of physics, science, ecology and psychology just to name a few. They all form the basis of what we know as universal truths. It is the compilation of these truths that form the basis for wise reasoning. Without truth there can be no wisdom. Without wisdom we can never learn to solve our problems for good. Can you stop your feet from tapping when you listen to the familiar beat of “Mr. Tambourine Man” or “Knockin on Heaven’s Door” by the great Bob Dylan? Do the memories flood your mind, bringing back the excitement of that first dance with that very special someone? How about when you hear Lynyrd Skynyrd’s “Sweet Home Alabama”; do you start singing along no matter where you are? If you moved away from the South, do you yearn to return, even if only for a visit? When you are driving in your car and Jimmy Buffett’s “Margaritaville” starts to play on your radio; can you smell the ocean waves and feel the sand under your feet? A successful businessman was growing old and he knew that it was time to choose a successor to take over the business. Instead of choosing one of his directors or his children, he decided to do something different. He called all the young executives in his company together.